Question: What is the single best investment strategy for the events of tomorrow? See end the end of the article for the answer. There are many models for passive asset management, and we’ll explore the effectiveness of these strategies. Although these are some of the brightest minds of this century, as you will find out, these experts do not agree. We found that it was nearly impossible to get five people to agree on pizza ingredients, let alone the single best passive asset model for all investors in all markets for all times. We will consider the effectiveness of simple passive modeling, risk reduction modeling, endowment modeling, alpha-driven modeling and economic “doomsday” investment modeling. 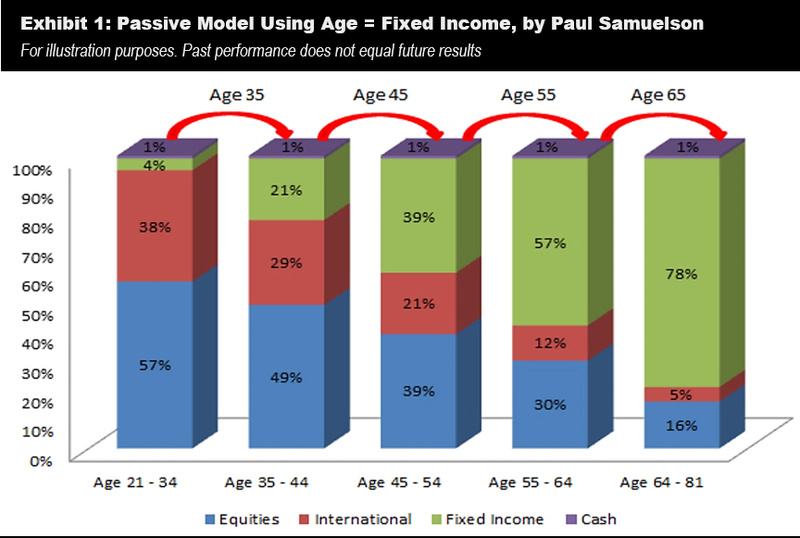 The two most common simple passive models are “Age Equals Income” and the “60 Percent Stock / 40 Percent Bond” portfolio models. Many 401(k)s use default investments that match the fixed income fund percentages to your age based on the year you plan on retiring. These plans use retirement “target date” funds, where the “target date” is equal to your estimated retirement date. If you are 55, you have 55 percent of your assets in fixed income securities. Fixed Income securities can include U.S. Treasuries, corporate bonds, international bonds and high-yield bond funds, the rest is in US and international equities. A year later, you reduce equities by one percent and increase fixed income by one percent. The positive side of this strategy is it is very simple and straightforward to implement. On the negative perspective, many more factors play into a person’s risk profile than just his or her age such as job uncertainty, the future perspective of the economy, and the size and diversification of other assets. Another negative factor to this strategy is it assumes fixed income securities will have less risk and will not often correlate (moves in the same direction) to equities. Both factors proved to be false in 2008. While this has been true that a 60 percent stock and 40 percent bond mix has reduced portfolio risk as interest rates have declined from 1981 to 2014, we don’t expect it to be necessarily true as interest rates rise from our historic 2015 low rates. Risk Reduction Modeling sets out as its primary objective to reduce downside risk of an investor’s portfolio while earning modest returns. For the best passive models that illustrate this concept, we will look at Harry Browne, Bridgewater & Associates, and Ray Dalio portfolio models. These models traded similarly over this specific timeframe, but could differ depending on the stock exposure of the portfolio in bad times. Harry Browne’s Permanent Portfolio – Harry Browne outlines “17 simple rules for financial safety” and provides detailed commentary on their explanation and implementation in the book, Fail-Safe Investing, also known as the permanent portfolio. According to Browne this type of portfolio has the goal of assuring “that you are financially safe, no matter what the future brings” including economic prosperity, inflation, recession or deflation. This is because some portion of the portfolio will perform favorably during each of those economic cycles. Investors could set up “Risk Parity” portfolios, assuming that you do not know what the future is going to hold. 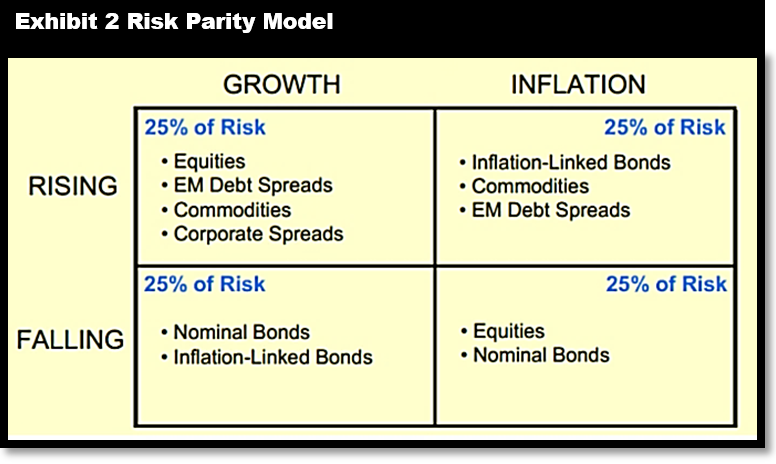 The “Risk Parity” portfolios should cover two scenarios: growth and inflation, each in either a “rising” or “falling” condition. How stocks and bonds perform in the growth and inflation scenarios: When growth is slower-than-expected, stocks go down. When inflation is higher-than-expected, bonds go down. When inflation is lower-than-expected, bonds go up. Although the Risk Parity Portfolio has done well in a declining interest rate environment, it does not perform as well in both the low and rising interest rate environments. In 2007, Ray Dalio predicted the global financial crisis, and in 2008 published an essay,“How the Economic Machine Works; A Template for Understanding What is Happening Now” which explained his model for the economic crisis. (1) He self-published a 123-page volume called Principles(2), in 2011, which outlined his logic and personal philosophy for investments and corporate management based on a lifetime of observation, analysis, and practical application through his hedge fund. As mentioned earlier, although these risk reduction models have done well in a declining interest rate environment, they may not do as well in the current low-interest rate or in a rising interest rate environment. Alpha-Driven Modeling is intended to create more return than its index. Unfortunately, they do it at a cost of higher drawdown risk exposures. Here are some top passive alpha-driven portfolio models. This group generated the greatest gains but also had the largest drawdowns in bad years. Some of the brightest investment minds manage college endowments. Here are some examples of passively managed assets. These funds are managed for long-term and that these models are simplified. Over time, these endowment funds have done well but since their holding period is effectively infinite, they can more easily ride the market ups and downs. Every year there are books that predict the end of times. Can you remember 2000 when there was a concern of a worldwide meltdown? Or the many books that predict an upcoming financial collapse? Here are two that see the end of financial times ahead and how their passive investments have worked. James Rickards, the author of Currency Wars and The Death of Money, agrees with Schiff. In 2010, one of those threats was Congress using taxpayers money to buy the people’s endearment. James Rickards’ outlook is even gloomier than Schiff’s. So How Have These Models Performed Relative to One Another? Showing the portfolios side-by-side illustrates the “ride” of each one. 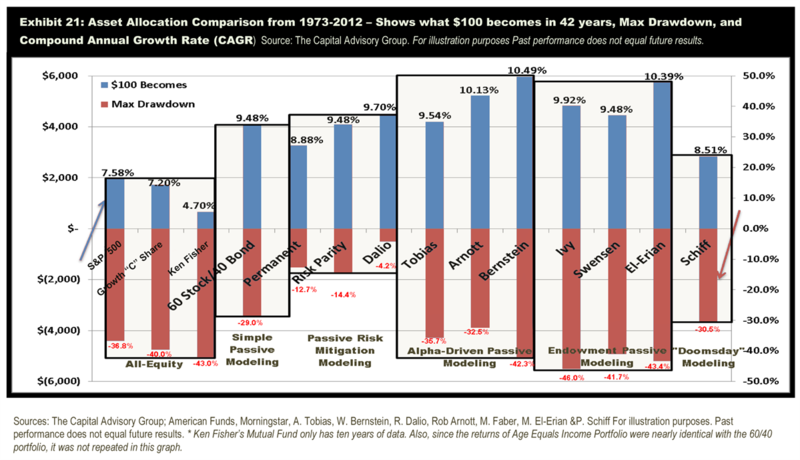 Here is the Compound Annual Growth Rate and downside risk of each allocation in Exhibit 21. 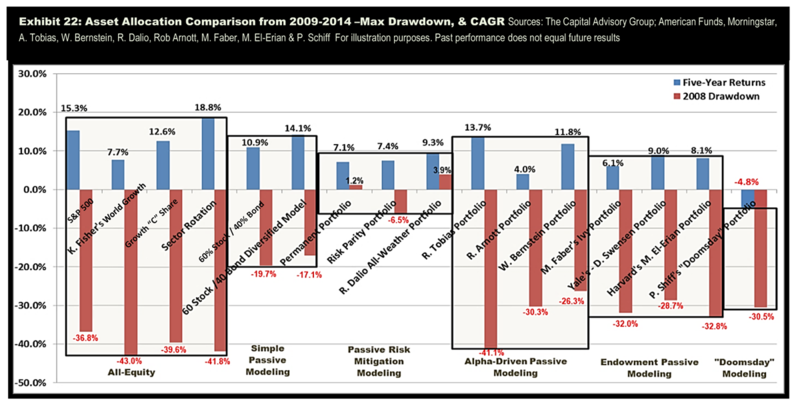 From a risk-return standpoint, Ray Dalio and risk parity (both came from the same source using slightly different interpretations of the research) by far performed the best in his passive asset allocation modeling, adjusted for risk. In addition, Bernstein offered the highest return, but that came with a significantly greater loss exposure in down markets. Many of these investment professionals like Mohamed El-Erian have since changed their models over time, and their changes are not reflected in the calculations above. Understanding these allocations can help you in coming up with a method for how your 401(k)’s assets should be allocated. They can also help with the asset allocations within your variable annuity contracts. How have these portfolios performed over the last decade? Exhibit 4 shows the performance of the passive and all-equity models over the last five years (Blue Bars) and how each did in 2008 (Red Bars). The best five-year performer was CAG’s Diversified All-Equity portfolio with an 18.8% average annual gain, but the returns come with losses in 2008 exceeding 40%. Ray Dalio again did very well with a 9.3% five-year return with no drawdown at all in 2008. The worst risk-adjusted performers were Ken Fisher and Peter Schiff with a 7.7 percent and -4.8 percent return respectively while having a 2008 reductions of -43.0 percent and -30.5 percent respectively. Ken Fisher and Peter Schiff’s ten-year returns were a mere 4.7 percent and -1.1 percent respectively. Most of Ken Fisher’s investments have been in U.S. stocks with ten to fifteen percent in international or global stocks. The Rob Arnott Portfolio also did not do well with a five-year return of 4.0% and a -30.3% drawdown in 2008. As you can see, finding the right all-equity or passive model is important. However, is determining the right asset allocation for all economic times asking the right question? Is it worth earning ten percent, if it means losing 40 percent in a down market? Albert Einstein spent his entire life trying to come up with one theory that explained the whole universe. Since his passing, many refinements have been made and still there has been no exact formula that can explain the universe in its entirety. The search for the “one investment allocation” that will work in all scenarios is much like the search for the Holy Grail or the one theory that will describe the universe. The question you have to ask yourself: “Is the goal a unifying asset allocation theory? Or is the goal higher returns while lowering the downside risks?” We believe a better question is: How should you invest for different economic times? In our blogs we will explore both all equity and active management modeling. What is the single best investment strategy for the events of tomorrow? There is no right answer, except in retrospect. Each model has its ideal environment. Alpha models do the best in good times, risk parity models do better in declining interest environments, and doomsday models do best, well, in times of a real doomsday scenario. In other blogs, we cover the factors to consider in making that choice as well as how these models compare to active asset modeling and all equity models. 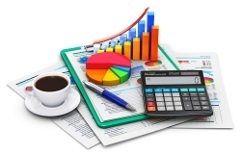 To get our 100-page report, entitled Investment Strategies that Work for more answers call 952-831-8243. If you want a review of your situation, we will do it for free. The Capital Advisory Group Advisory Services is an asset manager that helps guide wealth accumulation and management. Our team helps executives, retirees, and business owners with financial planning, asset management, tax guidance, risk mitigation, and estate planning. We help clients create wealth by analyzing income, cash flow and taxes with the goal of each becoming great savers. We scrutinize what can derail the plan. Finally, we help clients grow into investors with realistic expectations, giving them strategies to help reduce the impact of market downturns and helping them create plans to assist in meeting their future income and asset objectives.